Nicholas Robles, Jr., 13, of Hammond, IN is a middle school student and competitive skateboarder who has won three amateur competitions. In fact, his dream is to compete professionally. However, this year he received his first major injury which threatened his practice time at the skate park. Last month, Nicholas was in a competition with his skateboarding team, The Younginz, at Green Bay Action Sports Organization skate park in Green Bay, WI. While “riding a rail,” a trick that involves a skateboarder riding along what looks like a stairway railing, he fell forward onto his outstretched arm. He immediately felt pain and noticed swelling. He was seen in a local emergency room where a fracture/dislocation of the elbow was diagnosed. The elbow was placed back into the socket, but he was told surgery might be required once the swelling went down. Nicholas’ father, Nicholas, Sr., wanted to be sure that he was getting the best treatment, so he sought a second opinion. He recalled that a family friend had been well treated at Midwest Orthopaedics at Rush (MOR) and went to the group’s new Munster Indiana Office. They were able to schedule an appointment with Dr. Robert Wysocki, a hand, wrist and elbow specialist. The surgery was a success. Today, Nicholas’ physical therapy is going well and he is eager to get back to skating. And, that is exactly what Dr. Wysocki has in mind for him too. 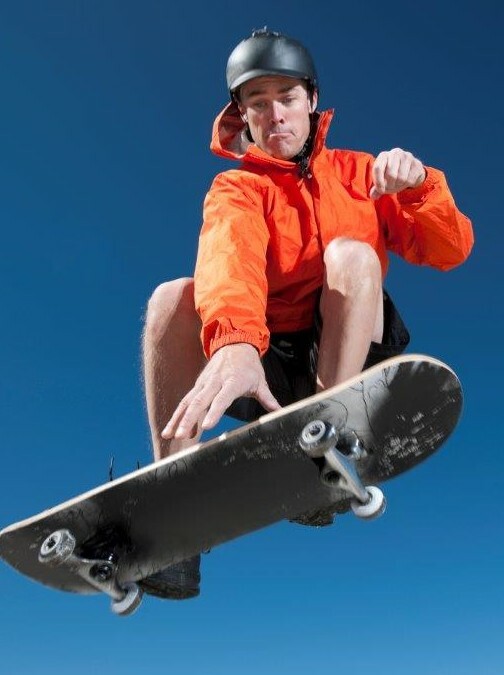 You can view Dr. Wysocki’s WGN-TV interview about skateboard injuries too. If you would like to schedule an appointment with Dr. Robert Wysocki, call 877 MD BONES (877.632.6637).